Softube have created a RISE module for their virtual Eurorack software Modular. 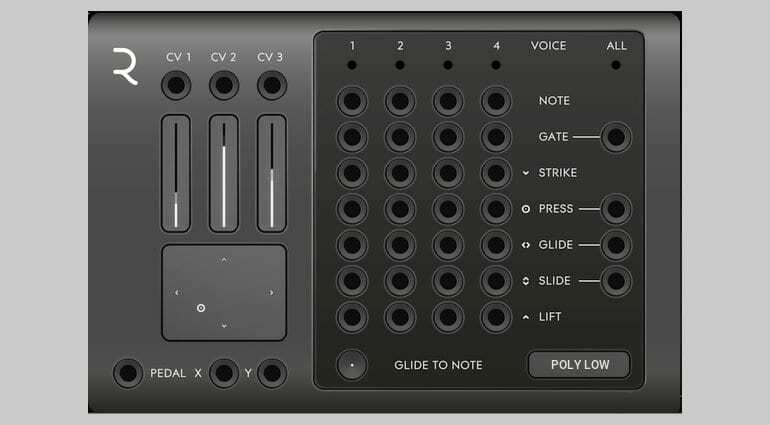 It enables the ROLI Seaboard RISE keyboards to pump controller information into Modular as a control voltage. You can then patch those CV outputs to control any of the other modules within Modular. The ROLI keyboards give you “five dimensions of touch” consisting of strike, press, glide, slide and lift. These can all be routed to any of the 38 CV outputs of the RISE module. It’s kind of like an enhanced version of the MIDI-to-CV converter that already exists in Modular. 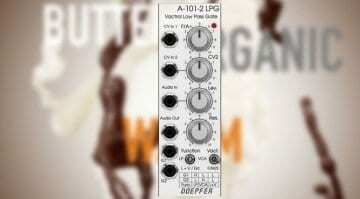 It can provide a wonderfully expressive way of controlling and modulating the modules in Modular. However, I’m not entirely sure that it should. Part of the attraction of modular synthesis is that it steps away from the restraints of keyboard control. The modulation and control is done within the rack itself – the creativity is in the creation of the patch and the interconnected flow of control voltage. What RISE does is turn Modular into a regular expressive synth where the performance is all in the keyboard controller, rather than in the machine itself. But that’s not necessarily a bad thing. I’m just saying that modular synthesis pushes you into a different way of working because of the absence of the sort of MIDI control we’ve become accustomed to. I think certainly it makes Modular more accessible and open ups interesting performance possibilities. Other keyboard companies might do well to develop their own module to take easier advantage of their capabilities. Although the MIDI-to-CV module pretty much does all that already. 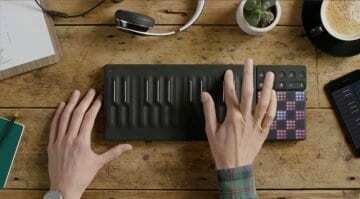 Maybe, if this was successful, then ROLI might consider developing a hardware version – but that would be good and bad for exactly the same reasons. 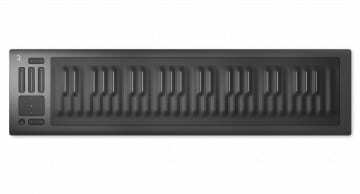 The RISE module is free to all Modular users but of course you’ll need to own a ROLI Seaboard RISE keyboard to make any use of it. More information on the Software website. The video below looks and sounds great but is stunningly unhelpful in that I’ve no idea what is doing what. Someone needs to do a bit of a tutorial I think.